[SOLVED] Did retro pixel artists design with CRT&#39;s in mind? [SOLVED] Did retro pixel artists design with CRT's in mind? Yes they did. That is, expert pixel artists on some systems were able to pull this off. 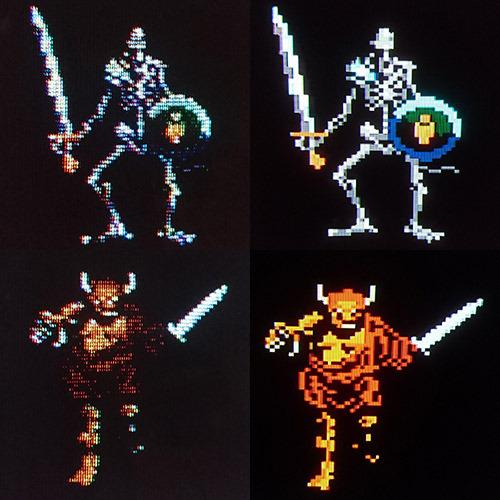 Some of the pixel artists used dither patterns to change the hue of an object and create gradients. Note to leverage the effect, the system had to have a palette and resolution to create such effects. The Atari 2600 pixels were too big and the palette to limited to use these techniques. This was first employed in coin-operated arcade titles. Later with more sophisticated monitors, capable of resolutions above 640x480 this technique became obsolete due to the fact that color bleeding pixels simply became a thing of the past- even on CRT displays. There is an example of a car in a top down racer (I couldn't find the image) where the car has a strange pattern of green and red pixels when viewed on a LCD screen. When viewed on a CRT screen the pixels somewhat blended and gave the car a pinkish color which was otherwise not possible with the standard palette of the system. With the example cited above; yes some pixel artist leveraged the bleeding of pixels on CRT screens. Keep in mind though that at the time, the pixel artists viewed their art on CRT screens as they were creating them. So they tweaked these things as they went along. Expert artists knew to leverage these effects, good artists simply drew it and it looked good. Then there is the group who created pixel art and weren't aware of these techniques or worked on a system where it was no option. 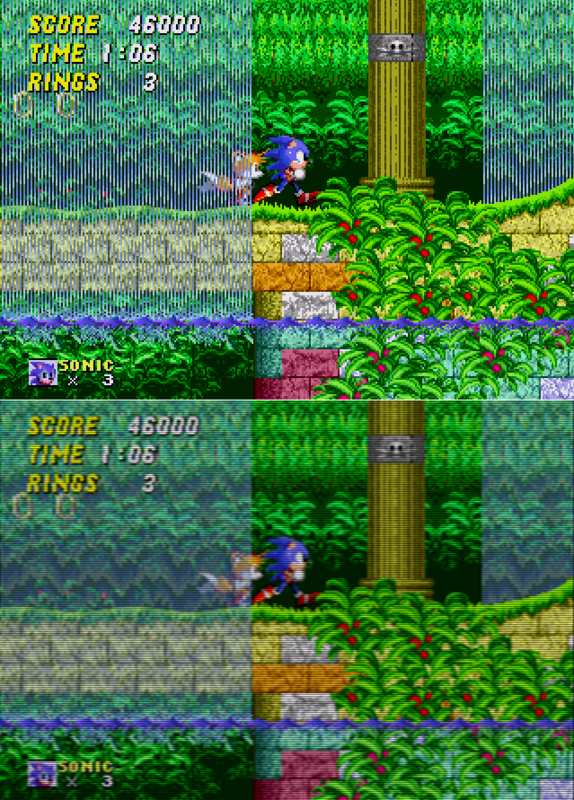 Added example of DMGregory's comment: This is the waterfall in Sonic: The Hedgehog 2, where the CRT bleeding effect is used to create transparancy (something not possible on the Sega Genesis/Megadrive) One can imagine that this technique in the hands of an expert artist provided new options in creating colors and contours. The alternating opaque stripes used in Sonic games in the Genesis to create the appearance of translucent waterfalls & foliage would be another good example, using the slight fuzzing of CRT phosphors to do a kind of alpha blending the console itself couldn't. The best pixel artists I've worked with knew how the different primaries bloomed and could create some amazing "details" and "shading" that didn't exist in the original data, just like waterfall example, and used mostly for animated character art. What tools do professionals use to create pixel art with animations? [SOLVED] How to do pixel perfect movement with Unity3D?